A preschooler's bedroom is usually a bonafide conundrum. 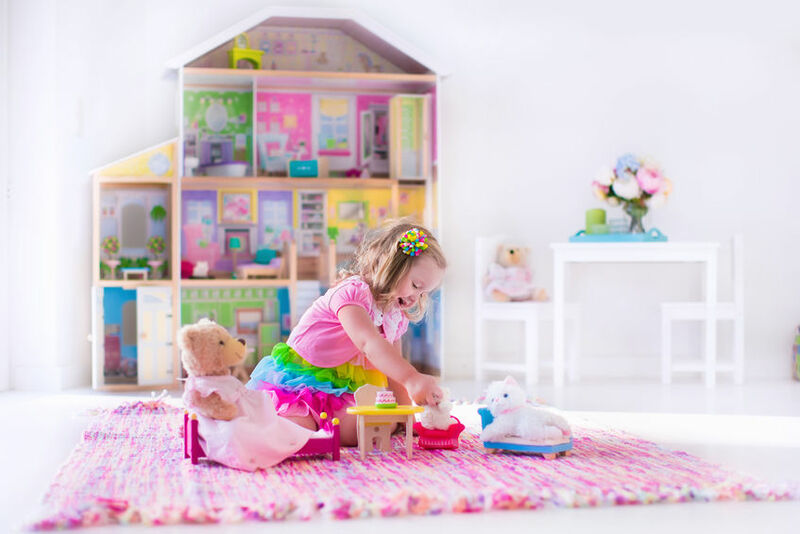 Bedroom activity areas for preschoolers can help keep her busy room organized. Without some kind of structure and organization, their busy bedrooms are apt to feel like Grand Central Station (and look about as clean). But with a few well-crafted activity centers and toy storage solutions, you can have this busy place in order in a New York minute. A functionally designed preschooler bedroom will make every day's whirl of activity easier to tame and more enjoyable for everyone. These bedroom ideas for preschoolers can help. Craft Central: Group a kid-size table and chairs , splat mat beneath, and plastic tote with washable crayons, markers and other supplies. Play Station: Pick a corner nook, defined by a small rug. (Preferably a washable area rug.) Leave big toys such as trucks or LEGO sets out and ready to tackle. Dress-Up Area: Mom, this is where you can recycle some of the excess in your closet. Just fill a plastic bin with your old clothes and fallen from favor shoes, bangles, and bags. Play with Mommy Place: Inaccessible closet shelves are perfect storage spaces for games and crafts that require a grownup's supervision. Oh, toys. Many toys. These bedroom ideas for preschoolers toys can help keep these friendly faces from taking over the room. The key: Divide and label. Everything. Since most preschoolers can't read, these won't be your file-folder labels. Instead, use something entirely different but equally control-inspiring: picture labels. Pictures of socks, shorts, shirts, and dinosaurs help your preschooler know where things go. Color or tape pictures on every box, bin or bag of the items that go inside. For example, for my 3 year old Payne, I went online to the Thomas the Tank Engine home page, printed it out, and taped it to Payne's bin of Thomas trains and tracks. Now he knows exactly which plastic tub to find and return his Thomas trains. Create a play are in one corner where it's okay to leave big toys out. Confine it with a small area rug. Put fire trucks, trains, and larger-than-life stuffed toys in big plastic dish tubs. Fill a bookcase that has deep shelves with brightly-colors storage baskets, which can in turn hold dozens of small toys. Save the zippered plastic bags that new bedspreads and comforters come in and use them to pack away whatever stuffed animals or Barbies are currently out of favor. With these bedroom ideas for preschoolers, your child will actually be able to find what she's looking for - all-by-herself!